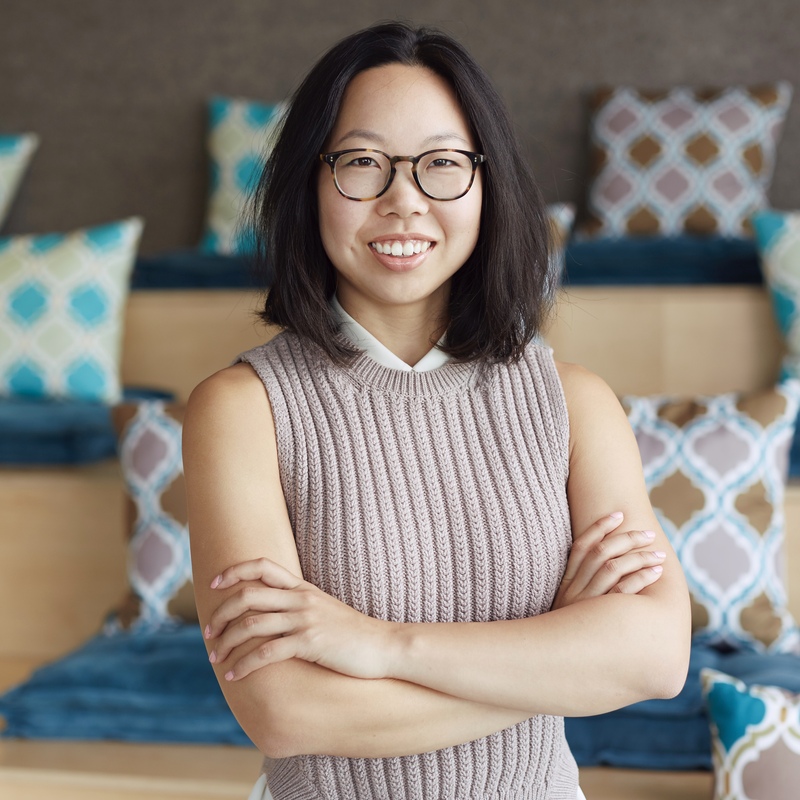 Brenda Jin is an entrepreneur, software engineer, and non-profit board member. She’s the founder of Guanyin Labs, a company that’s helping employees reach their full potential. Before Guanyin Labs, Brenda taught herself to code in 2013 and became a Senior UI Developer at Macys.com, then a Staff Engineer at Slack. Her leadership in technology centers on the customer and user. She designed and built the DLP and eDiscovery products for Slack’s first enterprise product. At Macys.com, Brenda led the prototyping and development of the first responsive tablet-optimized browse experience and first web-based responsive checkout experience. As a Board Member for Girl Develop It, she is proud to guide an organization that empowers thousands of women and non-binary adults with software skills every month. In this role, she led strategic planning, recruited and added new board directors, and advised on staffing strategy and executive compensation. Under Brenda’s leadership, the San Francisco chapter of Girl Develop It grew from 2000 to 9100 members and over 40 software development workshops and events per year. Together with a team of chapter leaders, teachers, and teaching assistants, they transformed the chapter from in-debt to $30,000+ annual revenue. Brenda writes about work and software design. She is a co-author of Designing Web APIs (O’Reilly). Check out Brenda’s popular posts Technical Leadership: Getting Started and Not Technical Enough: What Does That Mean?. For availability and speaker fees, please contact Brenda Jin’s speaking agent at Chartwell here, or call +1 972 385 1021 for U.S. inquiries or +44 207 293 0864 for international inquiries.